Please allow 1-4cm/0.4"-1.6" differs due to manual measurement. We guarantee the style is the same as shown in the pictures, but may not the same performance on different bodies as on the models. Thank you! 360° Big Swing skirts, Brightly colored Skater Skirts, young & energetic. 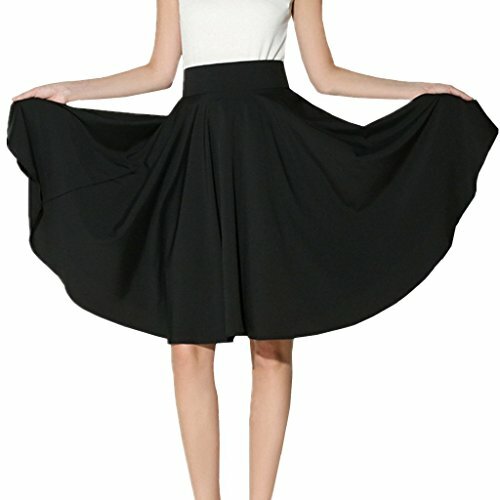 XINUO Brand short skirts, high quality a line skirts, best choice for you, slim & elegant. Versatile: can be a casual skirts for women, formal skirts, going out, holiday, beach etc. If you have any questions about this product by XINUO, contact us by completing and submitting the form below. If you are looking for a specif part number, please include it with your message.